1-William Dobson, son of George Dobson, was born in 1818 in Pollington Hall, Yorkshire, died on 24 Feb 1885 in Westbury, Tasmania at age 67, and was buried in Methodist Cemetery, Hagley. William married Anne Richardson in England. Anne was born in 1818 in England and died in 1895 in Westbury, Tasmania at age 77. They had nine children: Henry, Margaret, John, Mary Anna, George, William, Francis Swain, Arthur and Albert Aernest. 2-Henry Dobson was born on 4 Jul 1841 in Snaith, Yorkshire, England, died on 13 Jul 1920 in Penguin at age 79, and was buried in Aug 1920 in Penguin. Henry married Sarah Ann Walker, daughter of Michael Walker and Sarah Goss, on 29 Jun 1871 in Walker Family Home At Exton. Sarah was born on 13 Jan 1852 in Glenore, near Hagley, died on 29 Aug 1926 in Pine Road, near Penguin at age 74, and was buried in Aug 1926 in Penguin. They had 15 children: George Edward, Samuel Hildreth, Alexander John, Walter Thomas, William Michael Henry, Lillias May, Stephen Peter, Ethel Ann, Mabel Ann, Louis Robert, Ada Mary, Henry Arthur, Leila Florence, Myrtle Sarah and Basil Albert. Their story is told here. 2-Margaret Dobson was born on 25 Dec 1843 in Launceston, Tasmania and died on 9 Jul 1900 in Hagley, Tasmania at age 56. Margaret married Andrew Henry Hingston, son of Henry Thomas Hingston and Ann Sarah Bannister, on 6 May 1868 in Westbury, Tasmania. Andrew was born on 27 May 1847 in Longford, Tasmania and died on 15 Jan 1924 in Hagley, Tasmania at age 76. They had three children: Edmund Tasman (Tas), Leslie Montague and Hubert William Henry. 3-Edmund Tasman (Tas) Hingston was born on 15 Aug 1870 in Westbury, Tasmania, died Edmund married Fanny Matilda Stretton, daughter of Joseph Stretton and Jane Anne Mitchell, on 24 Oct 1894 in Westbury, Tasmania. They had three children: Eric Stanley, Dorothy May and Essie Irene. 5-Eric Stanley Hingston† was born on 27 Oct 1895 in Moltema, died in World War 1 on 14 May 1917 in Messines, Belgium at age 21, and was buried in Strand Military Cemetery (Plot II, Row A, Grave No. 3), Ploegsteert, Belgium. 4-Dorothy May Hingston was born in 1896. 4-Essie Irene Hingston was born in 1898. Edmund next married Sarah Margaret Walker, daughter of William Walker and Jane Darling Brown, on 26 Sep 1900 in Blackmoor, Deloraine. Sarah was born on 27 Jun 1875 in Westbury, Tasmania, died on 20 Mar 1962 at age 86, and was buried in Mar 1962 in Deloraine, Tasmania. They had seven children: Nina Edna, Allen John, Valentine Victor, Roy Kenneth (Bluey), Una Jean Margaret, Edna Grace and Thomas Tasman. Their story is told here. 3-Leslie Montague Hingston was born on 19 Apr 1875 in Westbury, Tasmania and died on 20 Nov 1944 in Launceston, Tasmania at age 69. Leslie married Adelaide Lydia Parry, daughter of convict ↑David Parry and Sarah Reeder. Adelaide was born on 6 Aug 1871 in Westbury, Tasmania, died on 15 Aug 1955 in Westbury, Tasmania at age 84, and was buried in Methodist-Uniting Cemetery, Hagley. 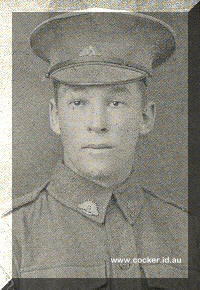 3-Hubert William Henry Hingston was born on 18 Apr 1878 in Westbury, Tasmania. 2-John Dobson was born in 1846 in Longford, Tasmania and died in 1847 in Longford, Tasmania at age 1. 2-Mary Anna Dobson was born on 25 Mar 1848 in Longford, Tasmania and died in 1917 at age 69. Mary married Charles Best Heazlewood, son of Henry Heazlewood and Sarah Clark, on 28 May 1874 in Westbury, Tasmania. Charles was born in 1849, was christened on 14 Mar 1849 in Longford, Tasmania, and died in 1917 at age 68. They had one daughter: Melvina Gertrude. 3-Melvina Gertrude Heazlewood was born on 5 Jun 1882 in Westbury, Tasmania and died on 26 Sep 1956 at age 74. Another name for Melvina was Ineze. Melvina married Henry Samuel Richardson, son of Isaac Simeon Richardson and Mary Ann Walker, on 18 Oct 1911 in Hagley, Tasmania. 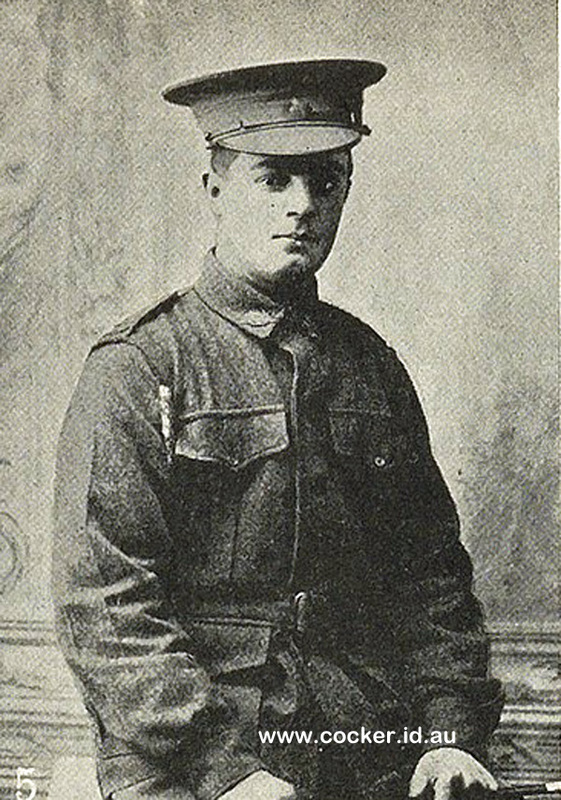 Henry was born on 6 Sep 1881 in Paddy's Scrub, Osmaston, died on 28 Jul 1942 in Hagley, Tasmania at age 60, and was buried in Methodist Cemetery, Hagley. They had two children: Ira Henry and Raymond Charles. Their story is told here. 2-George Dobson was born on 13 Aug 1850 in Longford, Tasmania and died on 25 Aug 1922 in Gawler, Tasmania at age 72. George married Charlotte Eliza Hingston, daughter of Henry Thomas Hingston and Ann Sarah Bannister, on 24 Jun 1875. Charlotte was born on 10 Aug 1855 in Westbury, Tasmania and died in 1942 in Ulverstone, Tasmania at age 87. 2-William Dobson was born on 30 Sep 1853 in Westbury, Tasmania. William married Rosetta Heaven French, daughter of Samuel French and Mary Ann Giles, on 23 May 1878 in Westbury, Tasmania. Rosetta was born in 1856 in Whitemore, Tasmania. 2-Francis Swain Dobson was born on 12 Apr 1856 in Morven, now Evandale and died on 12 Oct 1901 in Boat Harbour, Tasmania at age 45. Francis married Alice Emma Stretton, daughter of Joseph Stretton and Jane Anne Mitchell, on 18 Apr 1883 in Westbury, Tasmania. Alice died on 20 Oct 1928 in Boat Harbour, Tasmania. They had ten children: Hedley Ernest, Norman Arthur, Mabel, Myrtle, Bessie, Charles Tasman, Percival Claude, Stephen Robert, Jeffrey and (No Given Name). 3-Charles Tasman Dobson. 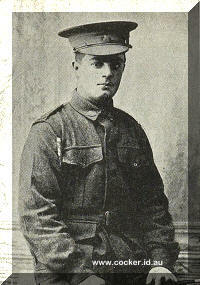 Charles served in the First World War. 2-Arthur Dobson was born on 25 Sep 1859 in Morven, now Evandale. Arthur married Ellen Rebecca Badcock, daughter of John Badcock and Alice Isabella Scott, on 20 Feb 1890 in West Devonport, Tasmania. 2-Albert Aernest Dobson was born on 6 Aug 1865 in Westbury, Tasmania. Albert married Lilly Charlotte Jordan Cope, daughter of George Cope and Adelaide Jordan. Lilly was born on 9 Oct 1876 in Deloraine, Tasmania and died on 30 Jun 1946 at age 69.